For many business owners, a business loan is a business loan. However, there are dozens of different financing options that are tailored to different types of companies, operating styles, and types of businesses. For example, low doc or no doc loans are usually the best fit for self-employed people who aren´t able to provide banks with the detailed documentation needed for traditional business loans. For international businesses buying and selling goods from around the global market place, trade finance is almost always the best option for financing. A Trade Finance Loan is best for businesses that import goods from suppliers abroad. It works particularly well for businesses that have a successful trading record, have two or more years’ of credit, a good credit score, and positive cash flow. Trade finance is a loan that delivers payment to an exporter on behalf of the importer before goods have arrived. The lender will loan money to the importer so that the exporter can be paid once goods have been shipped. Collateral for these loans is usually the goods in transit. Trade finance instruments come in the form of letters of credit, export factoring, export credits, insurance, or lending facilities. Most trade finance loans are short term in nature as they facilitate the purchase of goods and are then paid off once those good are resold on the marketplace. Because trade finance is short term in nature, most companies will need to take out a separate trade loan for a specific transaction. For example, if you run a company that imports bananas into Australia, the trade loan you apply for will be for one shipment of bananas. Once you receive the bananas, inventory them, and sell them off to other retailers, you then pay back the loan and will need to reapply for another loan when you´re ready for another shipment of bananas. On a global scale, it is estimated that between 80 and 90% of global trade is dependent on some sort of trade finance loan option. The market for trade finance is estimated to be around 10 trillion dollars a year, making it an important player in the global economy. 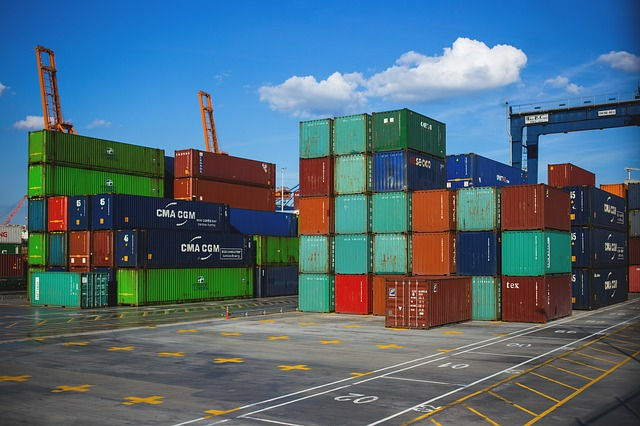 Going back to our banana importer example, it would not make financial sense for a company to import one container of bananas at $10,000 dollars per container when the cost per container at 100 containers drops down to $4,000 per container. Because of the costs associated with shipping, and the legal documentation associated with international trade, most shipping companies prefer to operate with large volumes and will subsequently offer much lower rates to companies willing to purchase in bulk. The problem, of course, is that while your company might have been able to pay out of pocket for one container of bananas, paying for 100 containers, even when they´re at half the price, is a significant expense, and very few companies will have the financial liquidity to be able to make that sort of upfront payment. Trade finance or a trade loan can help companies continue with their business practices when capital costs are high. Additionally, because profitability goes up with larger volumes, these loans can also help increase the profit margin of import, export, and domestic trade companies. As with many business practices, companies that work in import, export and domestic trade live in a high risk, high reward world. Because of the large movements of capital, late payments can effectively cripple a company. For example, returning to our hypothetical banana company, let´s imagine that this company wanted to try to avoid taking on any sort of trade finance loan. With an available cash flow of $100,000 dollars, they invested $75,000 in several containers of imported bananas, and then sold those bananas to retailers around the country. Several of their clients asked for credit to be able to purchase the bananas. Because of the lack of available cash, if one or several of their clients were to default on their payment, the company would be left without the resources needed to reinvest in the next shipment of bananas. This would cause them to have to lower the volume and thus pay a premium price for lower-volume shipments and decrease their profitability. A short-term finance loan would help to decrease that vulnerability and give the company more flexibility to operate their import business. Octet is a supplementary facility that does not interfere or replace any secured funding already in place. Octet complements the security of the bank. With innovative thinking, Marketlend performed extensive research in the Australian Business lending market and as a result, it has established Marketlend. BusinessLoans.com.au is the smart alternative for financing working capital for your business. Through a national network of over 140 First Class business owners, we have been delivering financial services to small to medium sized businesses for over 13 years. Moneytech offers end to end financial solutions catering to every link in the supply chain including Trade Finance and Debtor Finance.